I have a new addiction. I go through addictions with food and the only way to get rid of them, is to give in to the cravings…a lot. Then, eventually they will go away. Previous addictions include: peanut butter and bananas (yeah, a raw banana and a spoon of peanut butter straight from the jar), dark chocolate covered almonds and yogurt almonds. I’m still working on the almond addiction. However, most of my energy is focused on these things. They are so simple – they take like 5 minutes to make and they are delicious! I’ve actually been eating them for dinner like once a week. Yeah, I’m out of control. Plus, I really like that you can customize them. You can essentially put any of your favorite breakfast flavors in there: bacon, cheese, ham, egg, taco sauce, etc. 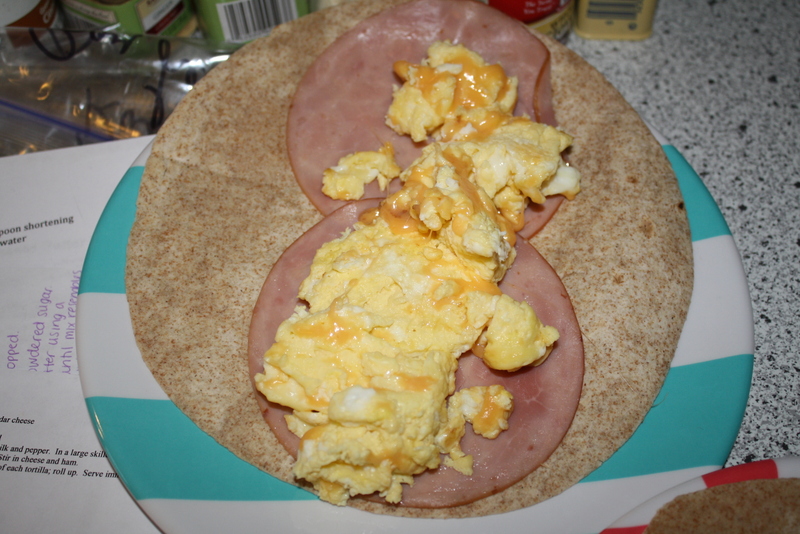 Then you wrap it up in a delicious tortilla and it’s finger food! Seriously though, give these a try. You won’t be disappointed. In a small bowl, whisk the eggs, milk and pepper. Grease a large skillet and add egg mixture; cook and stir over medium heat until eggs are completely set. Stir in cheese and ham. 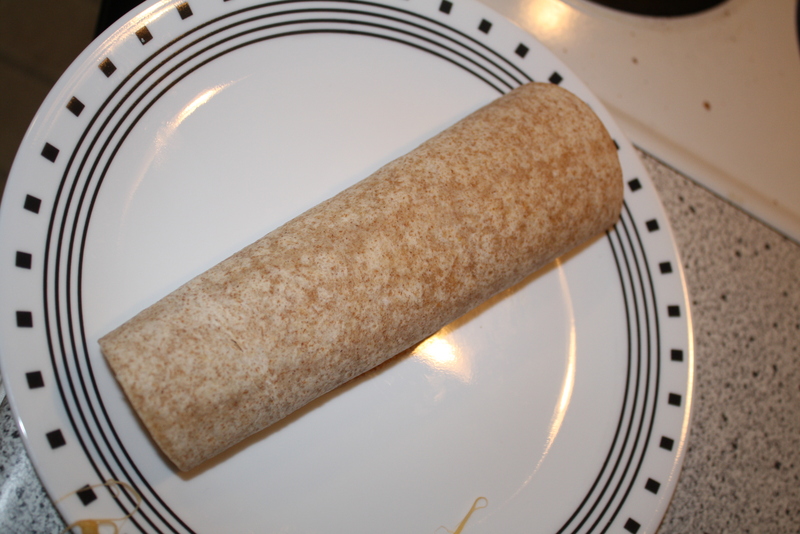 Spoon egg mixture down the center of each tortilla; roll up. Serve immediately with taco sauce or wrap in plastic wrap and freeze in a resealable plastic bag. Yum!! I love wraps and this one looks great, Jenn. So easy which is always a plus! Let’s be honest here, breakfast is good at just about any time of the day and the easier to eat it is the better! These wraps are just what the doctor ordered! 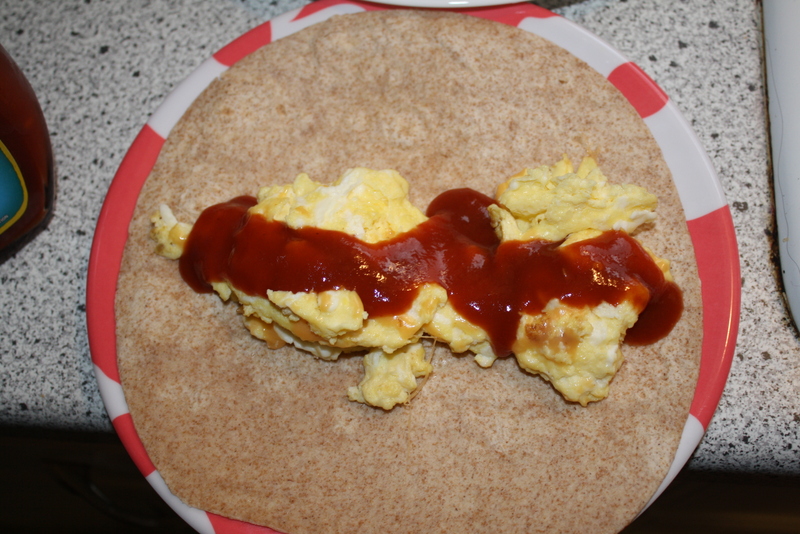 Breakfast wraps are a great way to entertain as well, because you can serve it buffet style and let everybody wrap exactly what they want and everybody’s happy! 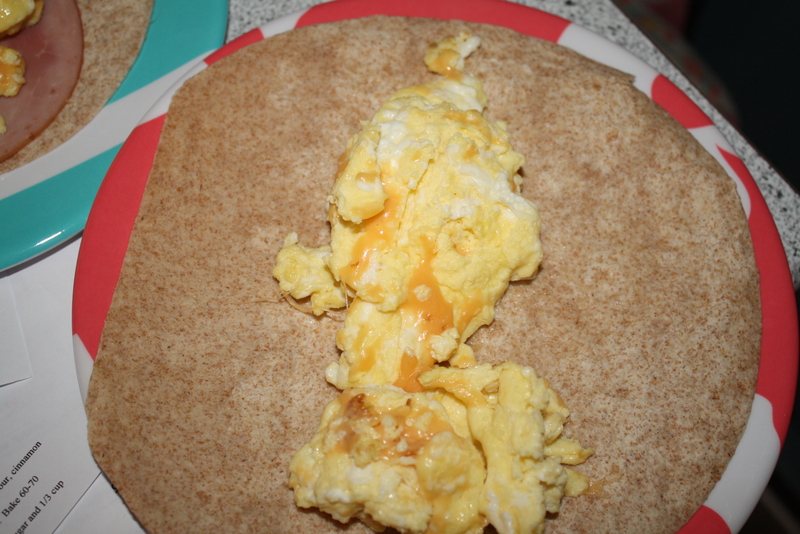 I’m a big fan of breakfast wraps and yours look delish!